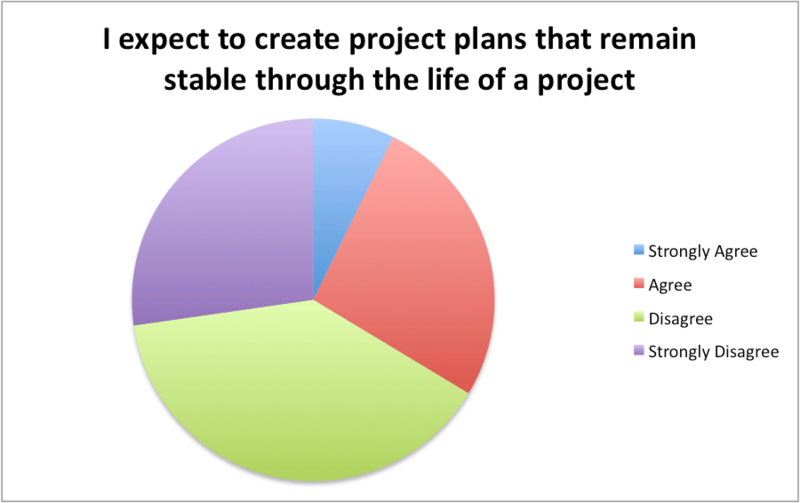 Planning to Fail: How Stable are Your Project Plans? Hardware project plans aren’t stable, that’s for certain. But what we expect and what we perceive our peers and management expect may surprise you. Here’s the first few data points from our hardware project planning survey that correspond to the stability of project plans in hardware development. 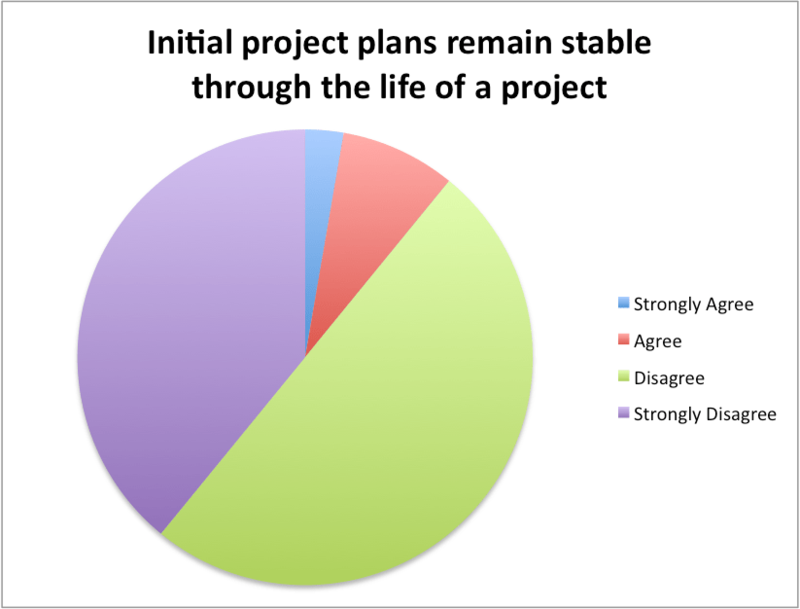 The strongest response from the entire survey came from this question regarding the stability of project plans. Stable project plans are extremely rare in hardware development. What are individuals expecting from our project plans with respect to stability? 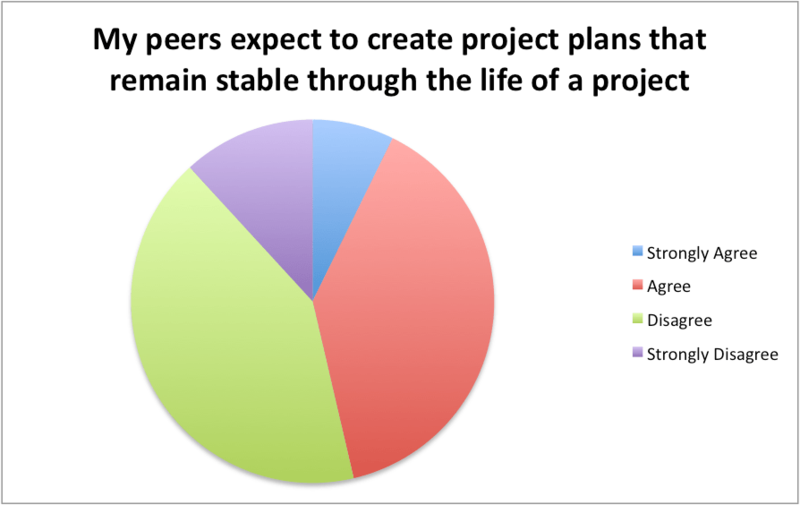 Roughly 2 in 3 people expect project plans to change. People perceive their peers are more optimistic when it comes to stability; roughly half think their peers are expecting a stable project plan. 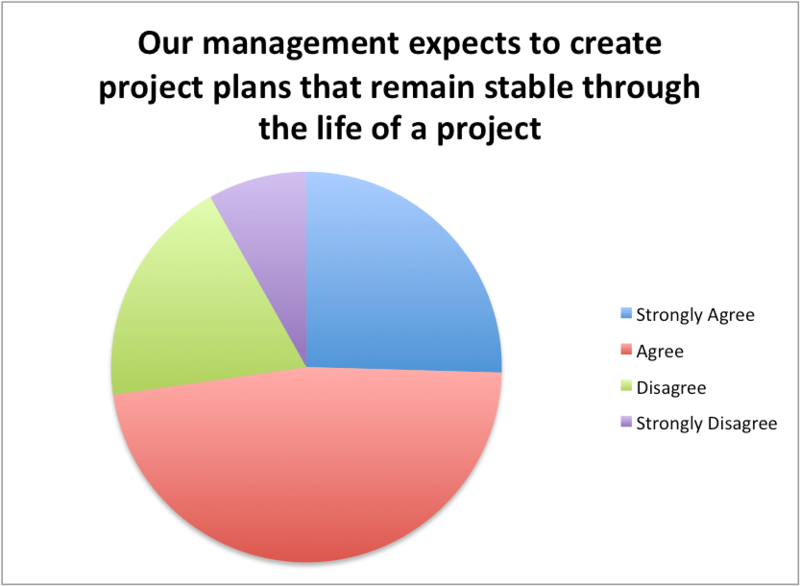 How about this for a difference in expectation… when asked about their management, people perceive true optimism when it comes to project plan stability. Over 70% of those surveyed perceive an expectation from their management of stable project plans. The reality is that there is no stability. As individuals, we’re expecting instability. We perceive mixed expectations from our peers and an obvious expectation of stability from management. That’s a full range of response and we’re only through the first 4 questions!